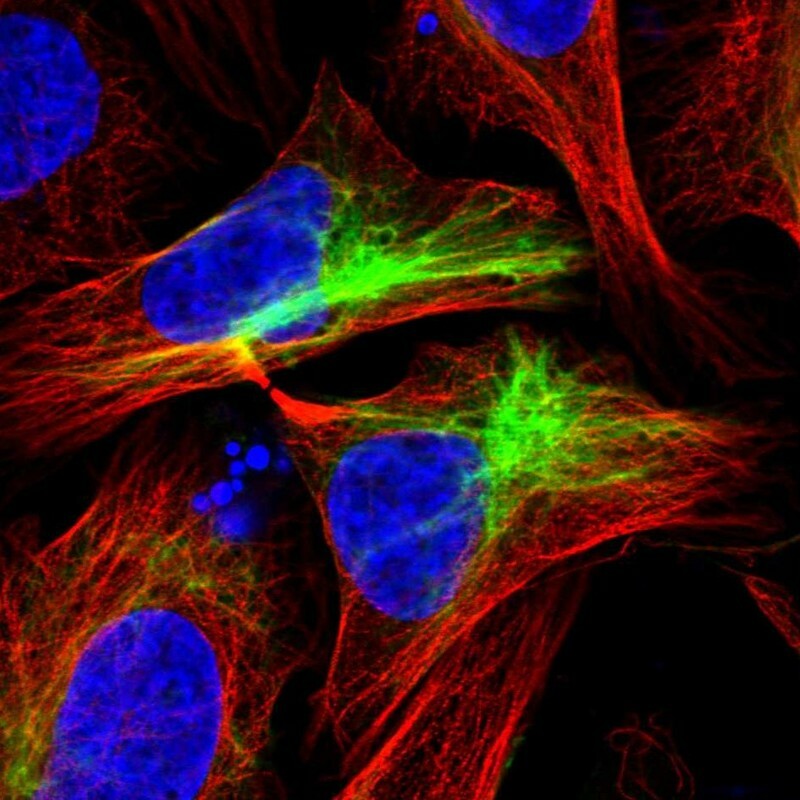 The subcellular protein atlas displays high resolution, multicolor images of immunofluorescently stained cells. This provides spatial information on protein expression patterns on a fine cellular and subcellular level. 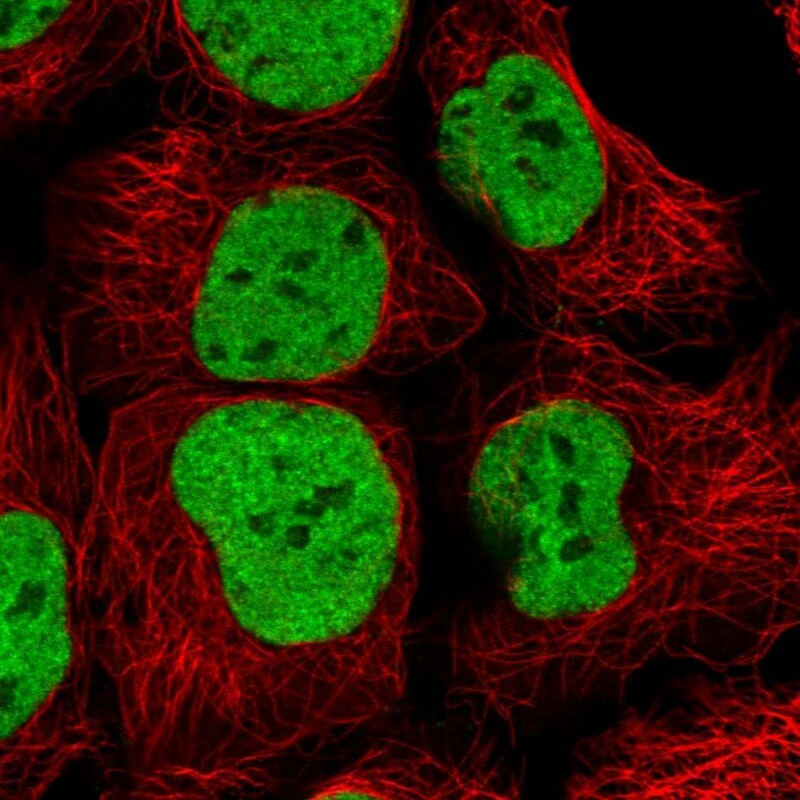 For each antibody two human suitable cell lines from a cell line panel are selected for the immunofluorescence analysis, based on mRNA expression levels. U-2 OS is also always used, making up the third cell line. To validate the results, the corresponding target protein may be down regulated by siRNA prior to immunostaining. 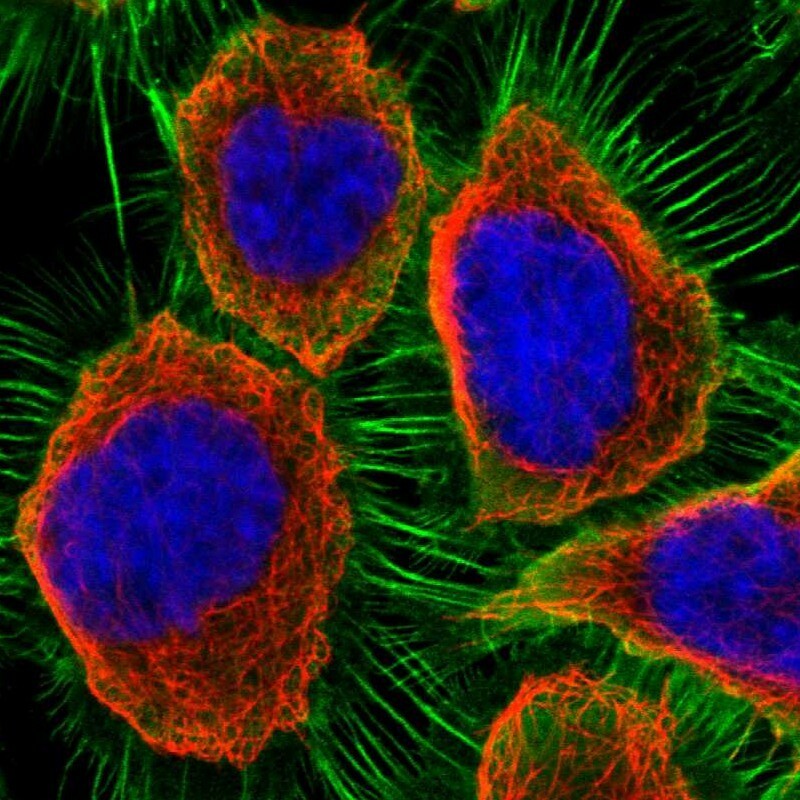 The subcellular atlas covers 10003 genes (51%) for which there are available antibodies. Protein localized to intermediate filaments. The location has been validated with GFP tagged protein. Heterogeneous nuclear ribonucleoprotein U-like 1. Localized to the nucleus but excluded from the nucleoli in human and mouse cells. The location has been validated by siRNA mediated gene silencing.